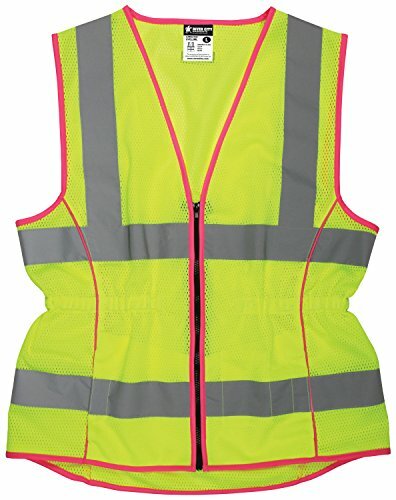 MCR Safety's LVCL2ML class 2 safety vests are specially designed just for ladies. They are ideal for those who need a light weight and comfortable high visibility option. Made of breathable polyester Stretch Rice mesh fabric, this vest is perfect for all day wear. Other features include 2-inch silver reflective stripes, fluorescent lime background fabric, zipper front closure, 2 inner/2 outer pockets.